The 2009 Scottish Cycling Cyclocross Championships will be held on Sunday 6th December at Riverside Park, Glenrothes in an event hosted by Kirkcaldy & District CC. The race is the highlight of the Scottish cyclocross season and the big guns will all be out to add a Scottish title to their palmares. The course at Riverside Park is a well loved classic which has been used for the Scottish Championship on a number of occasions. It's a mix of grass and fast gravel sections with a sprinkling of singletrack. It's a great test of a cyclocrosser and the champions will have truly earned their medals. You MUST pre-enter. The closing date for this event is 28th November 2009. Entry details can be found here and you can find an standard Scottish Cycling entry form here. Note that pre-entry applies to U12s race too. National championship categories are individual seniors, juniors, youth A, B and C and women. You can find information on the British Cycling age categories for cyclocross here. 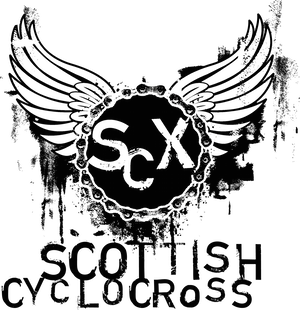 The Scottish Cyclocross Association have raised a motion for the forthcoming Scottish Cycling AGM to introduce championship categories for veterans. Please ask your club representative at the AGM to support this motion. Can winners of the U12s races last year, please return the trophies to the organiser or a SCX committee member at Dundee, Irvine or before the races start at Glenrothes. For senior/veteran racers who do not qualify for the championships, there will be a support race immediately before the main race of the day. This will be open to everyone (with a day membership/licence if necessary) and can be entered on the day. If the support race is only 40 mins will there be a corresponding 20% reduction in entry fee? Does anyone have a link to the entry form? Link to entry form for the Scottish Champs.